Have you checked out The Rooster Company yet?! If not, RUN, don't walk! This place was awesome! We never really go to the Newington area so this was a fun discovery. And gives us reason to go back! Preface my post with a statement: we did not get their rotisserie chicken, which is what they're known for. Next time people, next time. Because we WILL be back. To start, we were given truffle shortbread cookies. Even my toddler loved them. 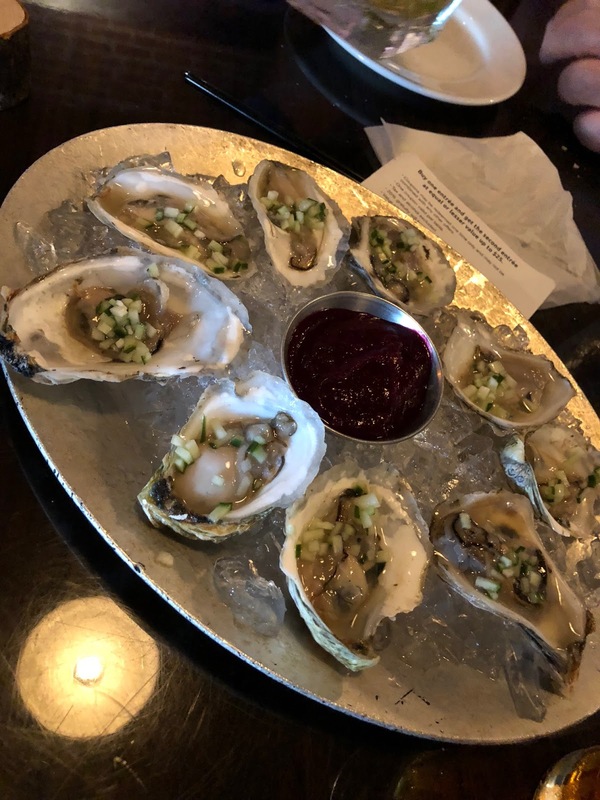 Some yummy oysters. With a beet jelly-type sauce. Weird, but surprisingly tasty. 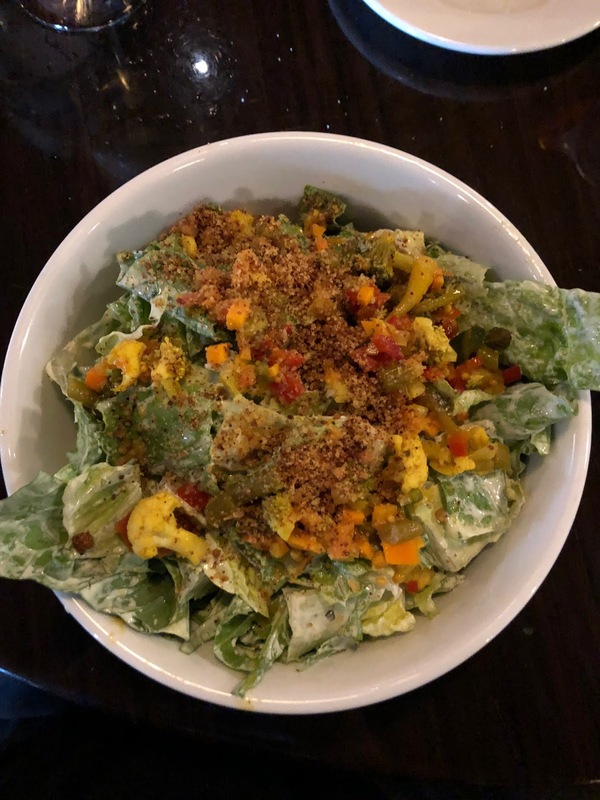 I don't remember what this salad was called or what was in it but I've been dreaming about it since. And I Instagram it often so it made quite the impact apparently. 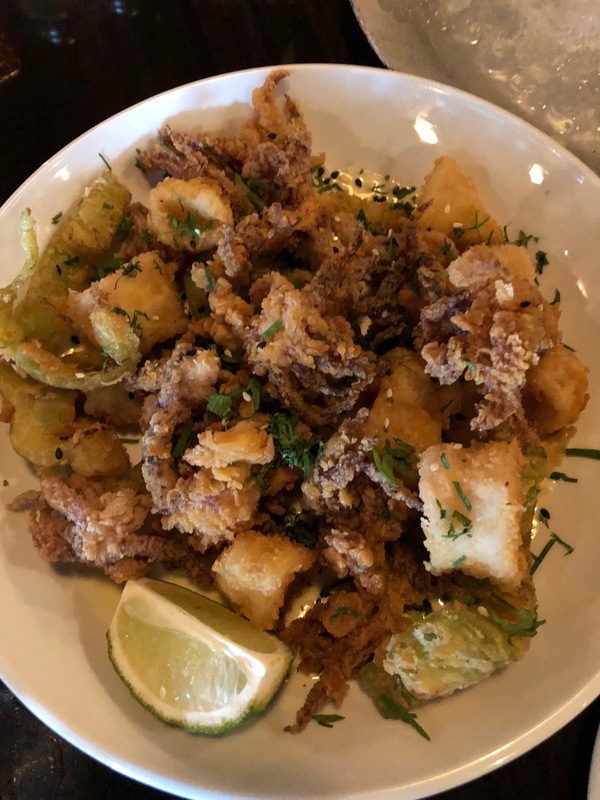 The calamari was fantastic and again, even my toddler liked it! I ordered their fish specialty and it was amazing. The sauce was slop-your-bread-in-the-bottom worthy! The eggplant risotto was yummy and also tasted great as leftovers the next day! 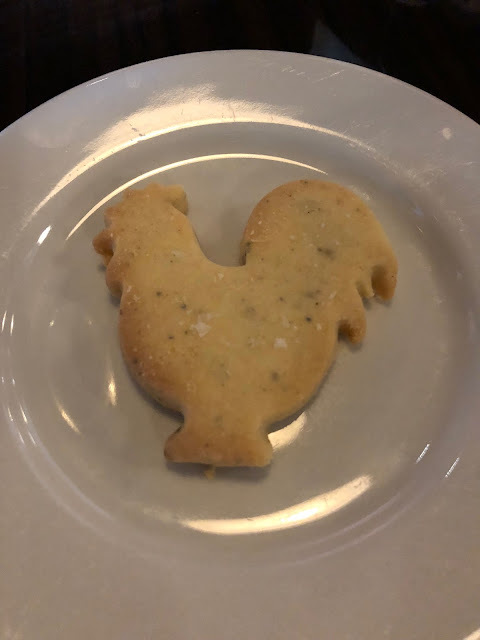 Have you been to The Rooster Company yet?! If you get the roast chicken, let me know!